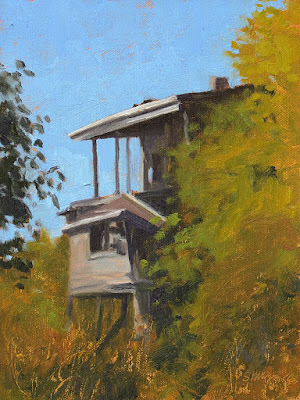 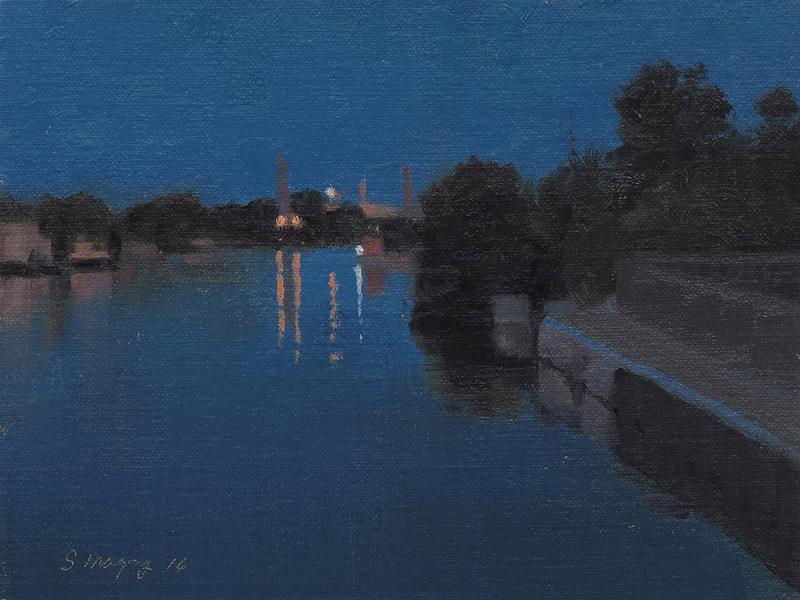 This evening landscape painting is a view from the Jefferson Ave bridge over the Rouge river. This urban landscape painting is a view of the sign for Dutch Girl Donuts on Woodward Ave. A favorite stop of ours when we are in Detroit. 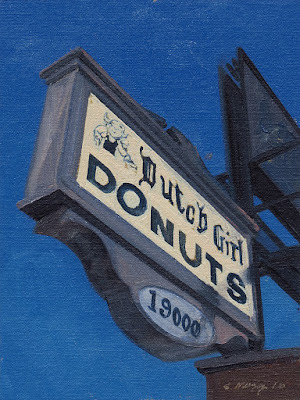 A Detroit icon, very, very good! 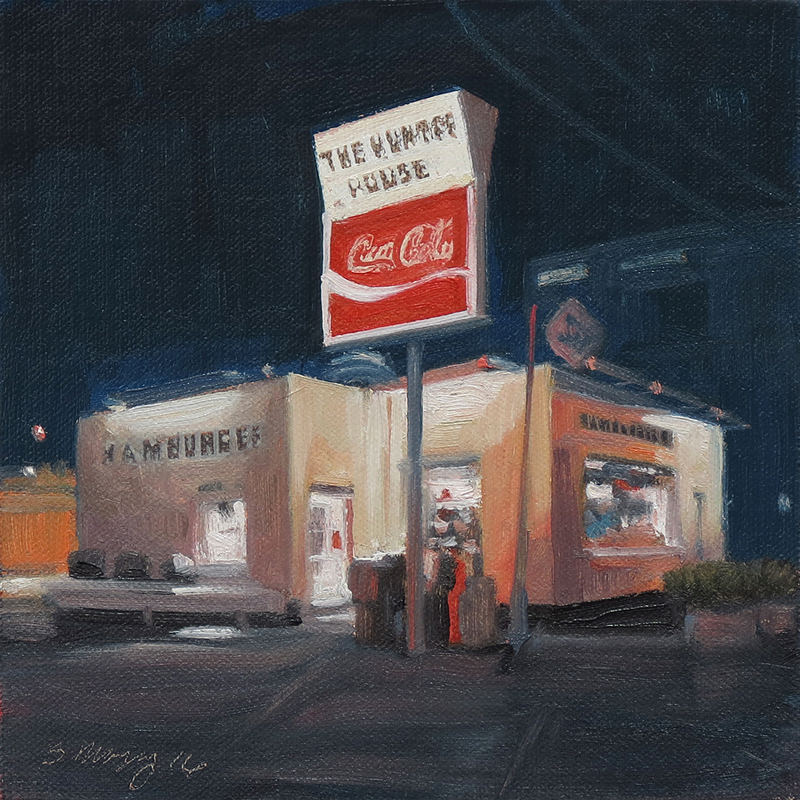 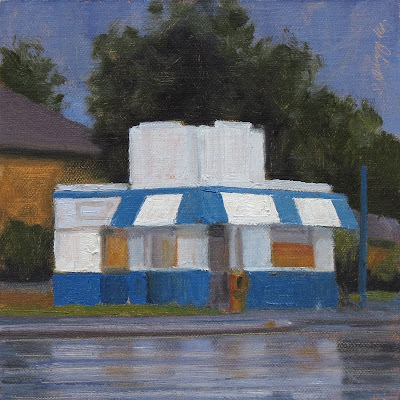 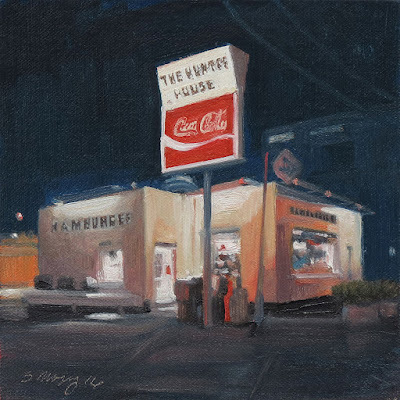 This urban landscape painting is a view of a former hamburger restraunt and reflections on a rainy day on Woodward restaurant Detroit. This nocturne landscape painting is a view from the Dix Ave bridge over the Rouge river. 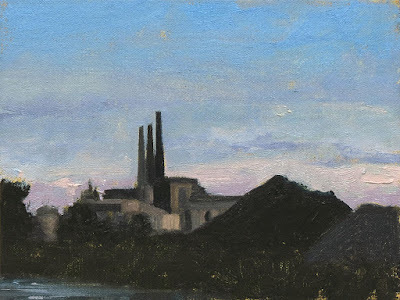 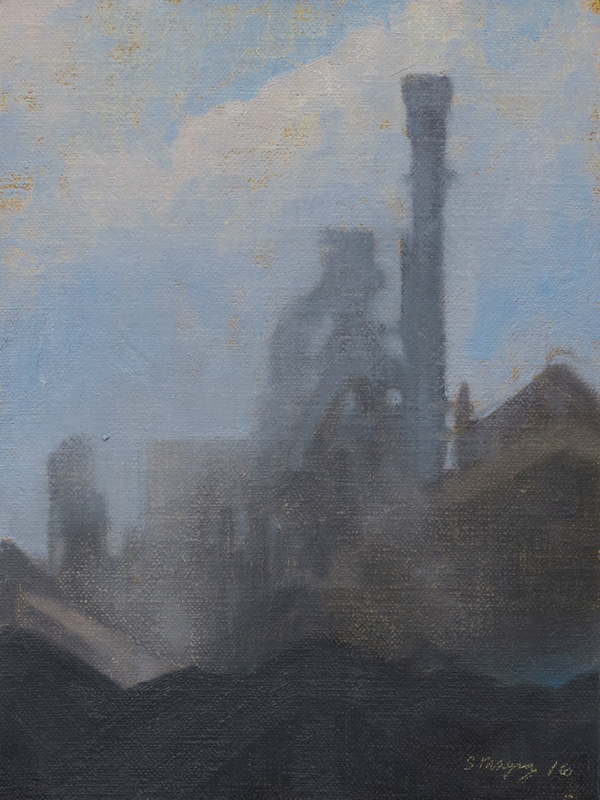 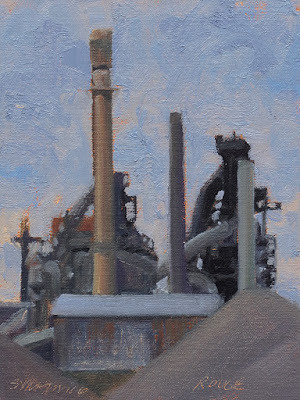 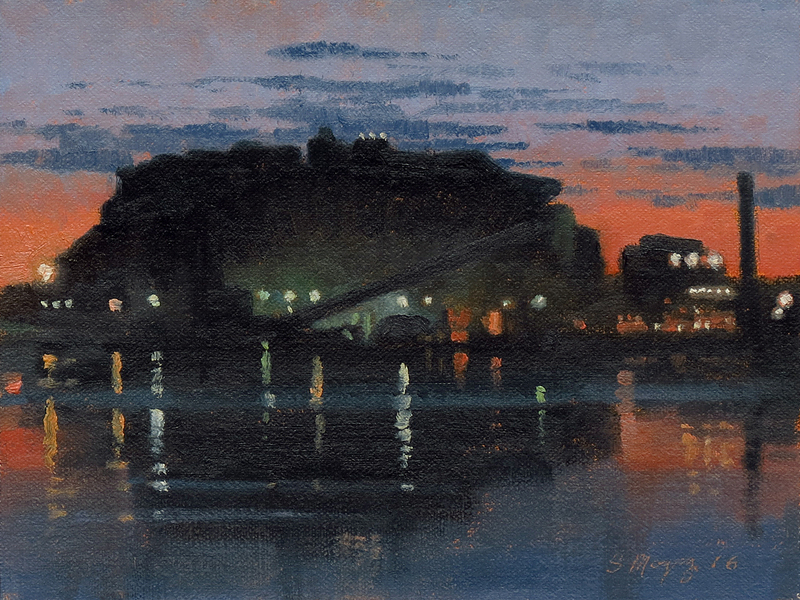 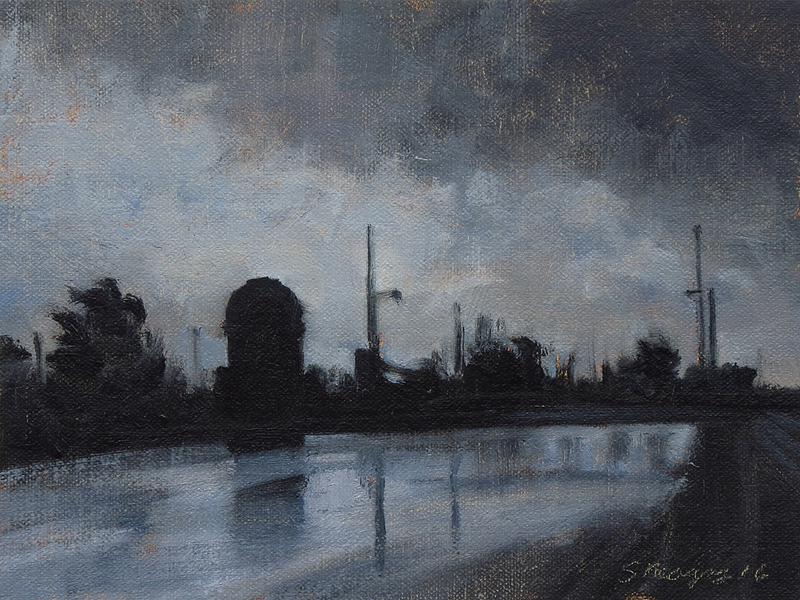 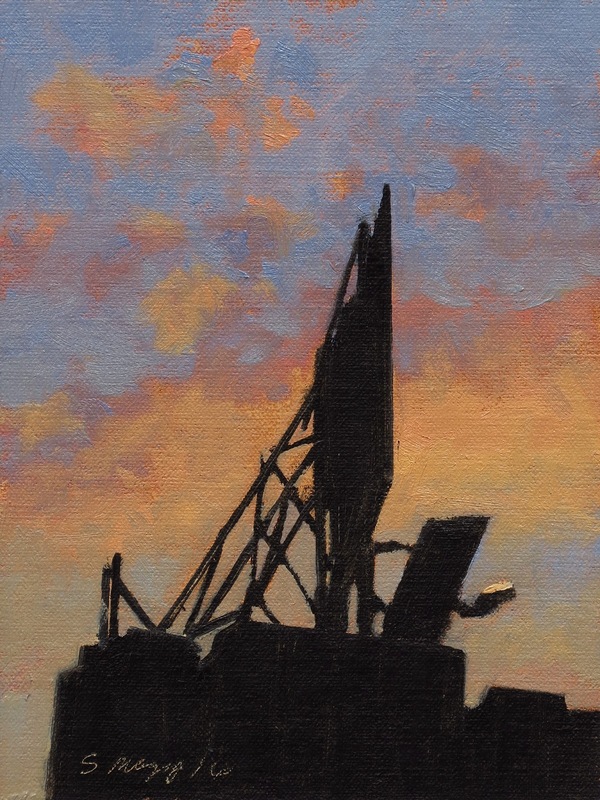 This nocturne landscape painting is a view of the Rouge Steel Plant on the Rouge river.